Change and adaptation are some of this century buzzwords. Whether we like it or not, or even accept it or not, our world is evolving; our lives are altered; our environments are changing. Mankind must change its way of life to ensure the future of our planet. Reducing pollution, of course is important, but also need to adapt to new global variables. But what are we really capable of? What are our resources? How can we develop new skills to respond more efficiently and faster? To build tomorrow, we must understand the human today. Our capacity to adapt is closely linked to our cortical agility: the brain is our major asset in dealing with change. A brain that is, still now, poorly understood as studies either in-situ or in real-world situations are extremely difficult. Equally important is to understand our physiological ability to withstand and survive in different climates, even though, to date, no studies have been completed on the same person under every climate. ADAPTATION is then a multifaceted challenge that includes progressing from one extreme climate to the next, while improving our grasp on man’s capacity to adapt to extreme, and variable, environments, which, at first glance, are unfit to support human life. 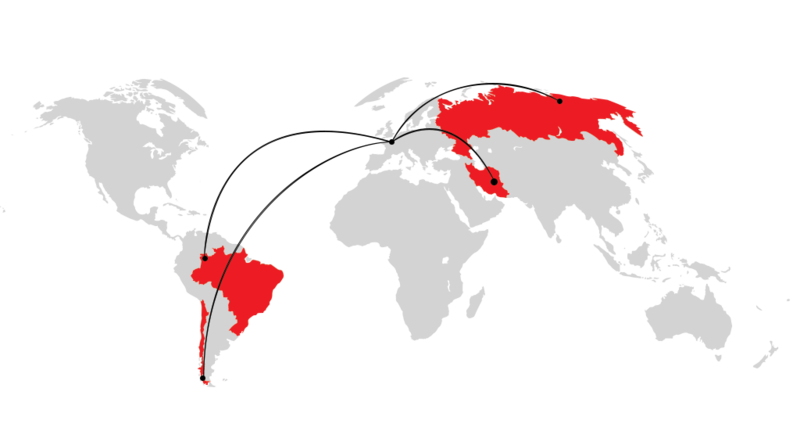 The ADAPTATION expeditions will happen in two phases, each including four routes. A global study on a representative group of hand-picked 10 women and 10 men, of various nationalities. 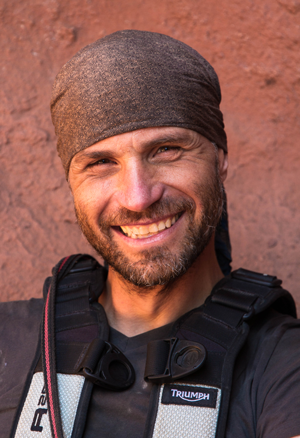 The group will be headed by the expedition leader Christian Clot and will perform the same 4 routes he did solo. For the last twenty years, Christian has dedicated his life to the exploration of the most extreme environments. Expeditions, done alone or as the leader of a group, he focused on the relations between the community and the ability of humans to adapt to complex conditions. He has completed multiple long range expeditions and worked in all terrains, from seas to mountains and from forests to deserts. One of his accomplishments includes the world first of being the first man to have entered the central part of the Cordillera Darwin mountains (Tierra del Fuego (Cl). He has written several books, produced multiple movies, and won several awards for his work. He also lectures for corporations or the public. Christian have been leading expeditions in extreme conditions for twenty years, either alone or as the leader of research expeditions, in every land and sea environments. He is author of several books and movies. The individual is forced to face himself, in conditions too complex and too unpredictable to be fully grasped in anticipation. This generates fatigue, stress and deep fears, just as much as feelings of joy close to euphoria. And yet he thrive in these conditions, find his path and achieve work, while collaborating with the ones accompanying him, who also undergothe same doubts and imbalance. This is how I had the opportunity to observe particular actions and reactions, struggles, rejections, as well as incredible abilities of acceptance and resilience. These profound changes were sometimes very rapid, demonstrating unsuspected adaptive capacities. I was also able to observe these reactions in individuals undergoing unpredictable, violent crisis, such tsunamis, acts of war or crisis.I therefore wanted to question our ability to adapt to these crisis situations with in a scientific approach. This is based on three observations: most of the studies investigating this topic are conducted within laboratories, or long after the events; it is impossible to carry out studies on people suffering from violent crisis; exploratory expeditions, on the other hand, represent a unique research method, since conditions are similar to the ones during crisis, but they allow observation. Between 2005 and 2011, I had the opportunity to set up a first program in association with several universities. This project has lead to the first results, and allowed us to better understand the issues. With the evolution of technologies and the remarkable contribution from the LNC, we can now plan these new in situ studies on the human ability to adapt to changes and crisis, with much more ambition. It is time! Indeed, today, no one is immune to rapid, deep and unpredictable life changes, whether it is in business or everyday life. We need to better prepare ourselves for them. But, a first step is to better understand our capacities, our skills, for adaptation. This is the goal of ADAPTATION. The Adaptation expedition and associated scientific studies will be organised in 2 parts, each comprising 4 treks. For the first time, human beings will be confronted with fast changes in hazardous environments while conducting pioneering cortical studies in situ. Our aim is to study how the human brain and human physiology adapt to changing situations and to the environment. While men will have to live in more severe and more frequent changing environments, still little is known about the influence of these factors on humans. During the different expeditions, the 20 team members will be divided in subgroups headed by a leader. This structure will allow to study the effects of social status (leader vs. non-leader) on judgement, decision making and tasks associated with social interaction according to group membership (in-group vs. out-group). Participants will take part in behavioural tests before and after trekking in each environment. Scientific protocols will be based on a battery of behavioural tasks (both qualitative and quantitative) in order to evaluate cognitive processes. Recent neuroimaging technics will be used to record brain activity and adaptations. investigate individual and gender differences. This project is aimed mainly at the institutions and organizations involved in supporting and taking care of populations and communities facing life conditions generating great physical, psychological or social stress (eg distressed population, refugees, migrants, travelers in remote areas, etc). The scientific benefits of this project could help these institutions to improve the effectiveness of their intervention programs. Indeed, by taking into account the specificity of judgment and decision-making capacities of the population they assist, the organizations could improve their protective and supportive roles to these individuals. 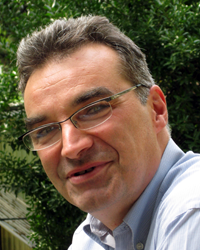 Etienne is the founder and director of the Laboratory of Cognitive Neuroscience, which is attached to the Ecole Normale Supérieure (ENS) and INSERM. The decision-making expert, describes himself as an explorer. With tens of publications and thousands of citations to his credit, his “explorations” have been fruitful. Together with Christian Clot, they developed the project to give it its present dimension. Etienne, as Director of Cognitive Studies, will be, among others, assisted by Katia Dauchot, neurobiologist and Margaux Romand-Monnier, PhD student, among others. What is the scientific goal of these expeditions? We want to study how the human brain and associated cognitive functions adapt to the environment in which a person lives. Little is known about the influence of environmental factors on the brain physiology and the human cognition, yet in the future, these factors will certainly change greatly and human beings will most likely have to live in more severe environments. The study will investigate executive functions associated with the frontal lobes, namely judgements and decision-making through their cognitive, emotional et social dimensions. What do you expect to uncover with these studies? The findings will allow us to understand how environmental factors influence the brain physiology and how this physiological brain adaptation changes judgement and decision-making faculties.